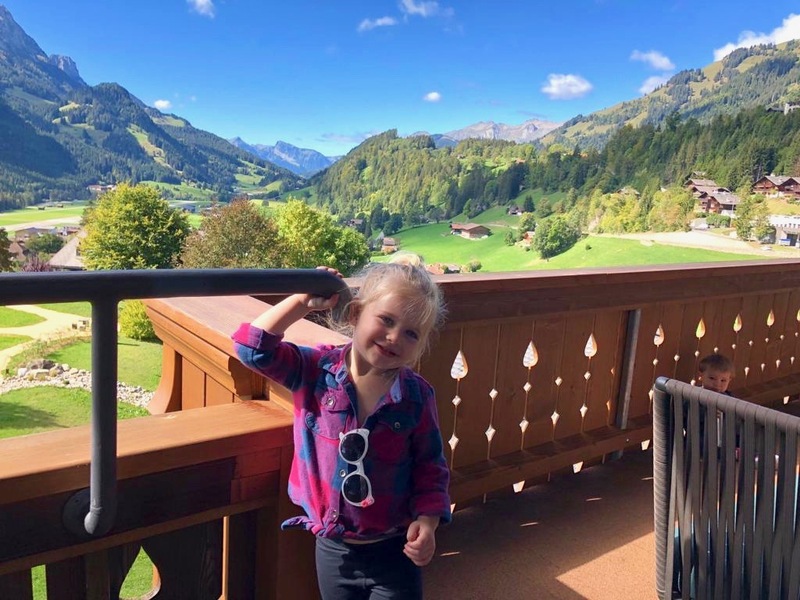 Huus Gstaad is the hotel version of the “cool mom”. You know the mom I’m talking about, the one you see at school drop off that is dry clean only, yet whips out Pinterest level baked goods and nonchalantly uses glitter for arts and crafts without anxiety-ridden facial expressions. THAT MOM. Needless to say, this place is as impressive as she is but way more approachable. 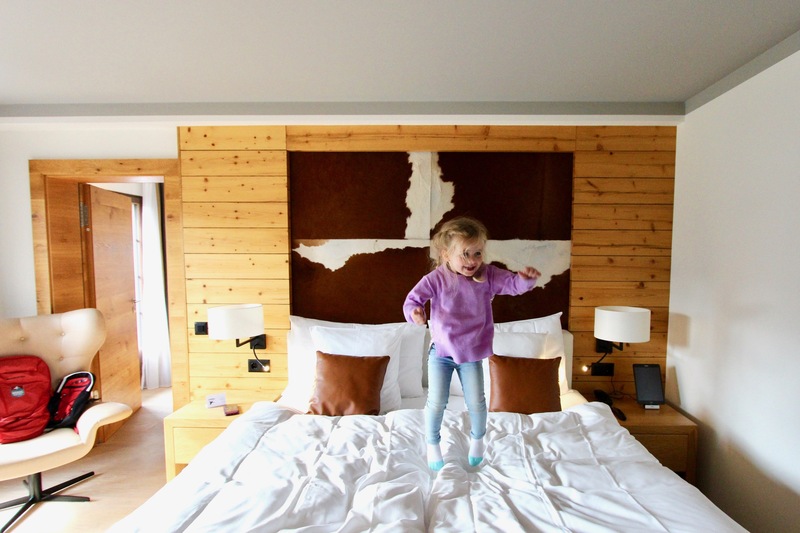 Upon entering the Swiss dreamland that is Huus Gstaad you almost can’t believe kids are even allowed in such a sleek place. 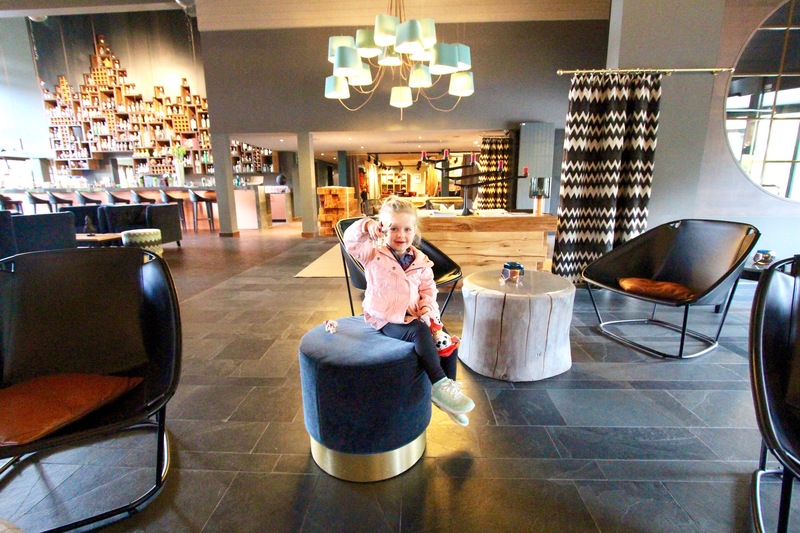 With a lobby bar that non-parents will drool over and child-rearing adults will run towards like they’ve found water in the desert, you quickly realize that Huus knows their audience and they’re not messing around. They even include equipment to have a cheese fondue party (!!). I wasn’t kidding when I said this place was an overachiever. But let’s be honest, we’d like that cool mom a lot more if she offered a fondue party as part of a playdate #amiright? If you have younger minions like our 3 and 1-year-olds, then while those activities sound grand, all you really want is the adrenaline seeking activity of eating a meal in peace. Easier said than done, right? Not when you’re at this Swiss chalet of dreams. 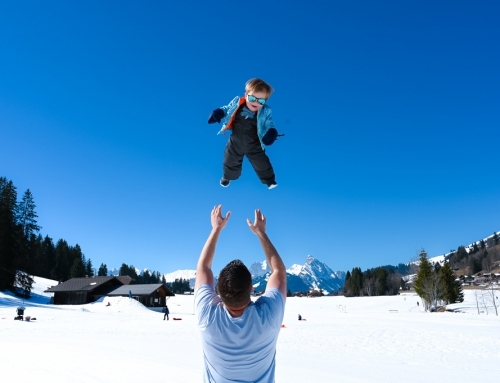 Huus Gstaad has a kids’ restaurant where you can drop your kids off like dry cleaning, only picking them up once they’re done and clean. Or if you have stage 5 clingers like us, then you can stay and eat your meal with them, which really means they play and you eat and everyone wins. 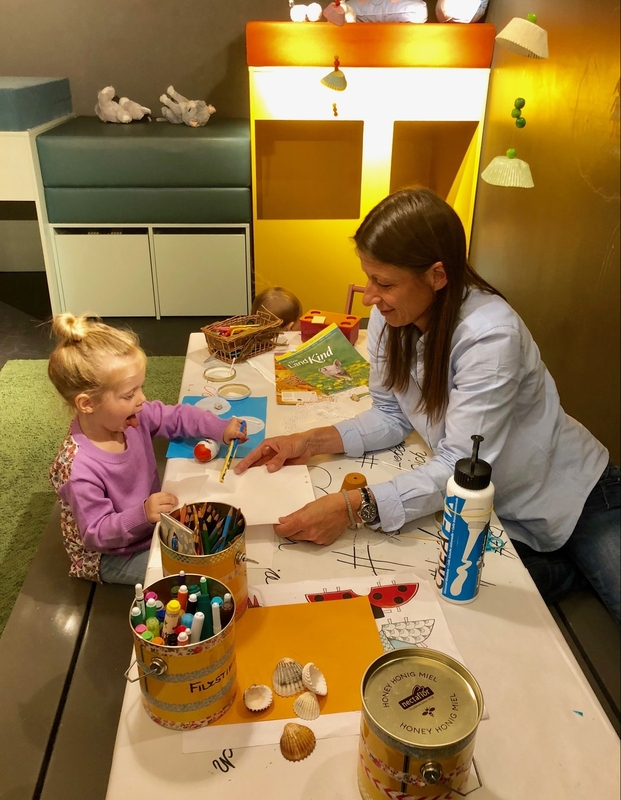 A separate Bambini club next door offers open-ended play areas with a crafts table and Huus staff to guide them through activities they would never sit through at home. They’ll even show your 3 year old how to use a pair of scissors properly, and ensure they don’t cut their thumb off in the process. 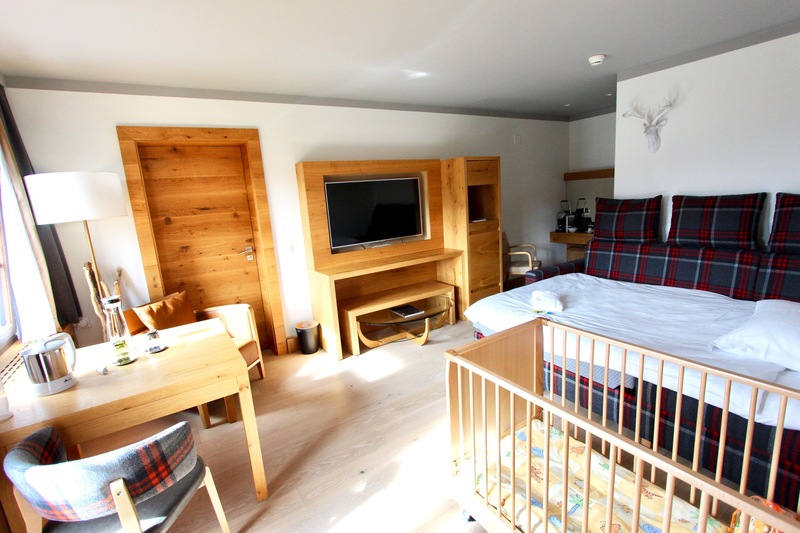 When it comes time to tackle the dreaded sleep setup that sends many parents into a cold sweat, Huus Gstaad is two steps and one door ahead of you. The suite had the number one thing that takes a family trip to actual vacation status: it had a DOOR. Oh yes, a door. On our side of the room, we got a gorgeous bathroom with Haastens bed (since we’re basically traveling like royals at Huus, might as well sleep like one too, right?). 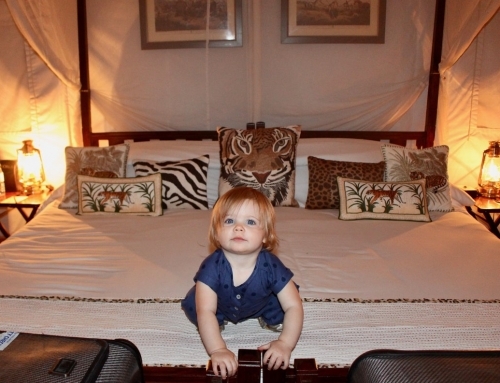 And then through that oh-so-lovely door was a sofa bed made up for the toddler and a crib for the baby. Monster slippers, toddler bathrobe, and a baby product filled backpack made the “which bed is mine” toddler conversation much easier. Because like an animal from MTV’s The Real World, this chick has been known to try and grab the best bed in the area and claim it as her own. Add balconies with a view that will make people think you’re standing in front of a fake backdrop at Walmart and you have a room that I’d like to live in until further notice. 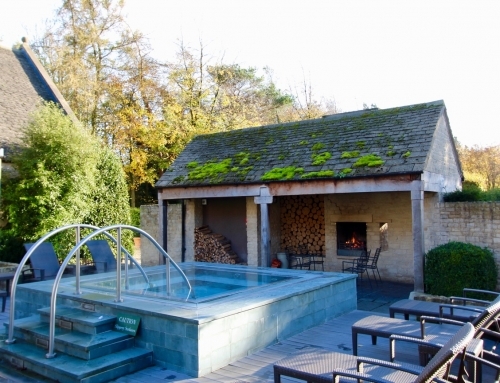 The Swiss love a good spa, and what a coincidence, so do I. 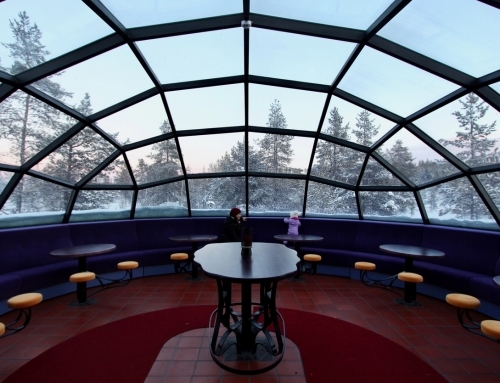 But of course, not only is there a full adult spa that’s serene and gorgeous above the indoor pool, there’s a full kid spa beneath it. 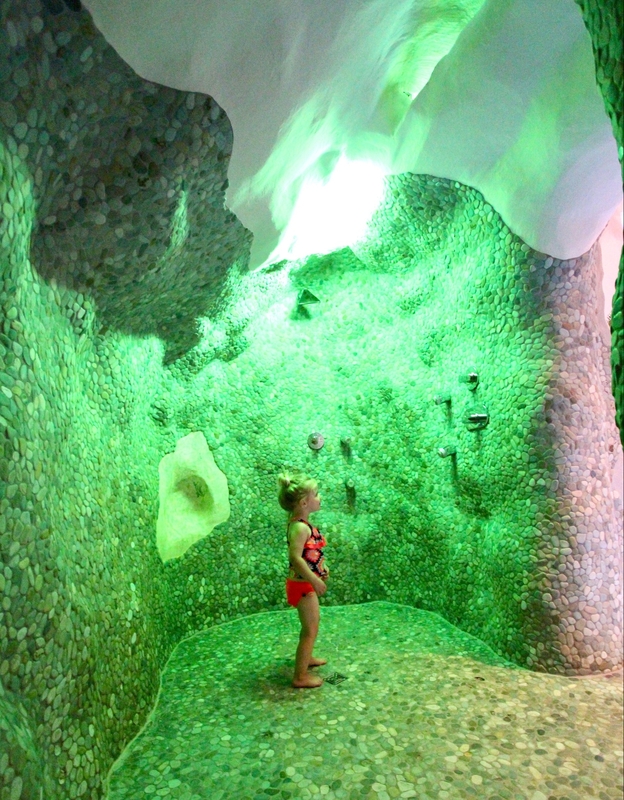 Because it’s stressful to be an emotional toddler all day, there was a green-lit sensory shower, slide, bean bags, climbing wall and play area for them to relax in. 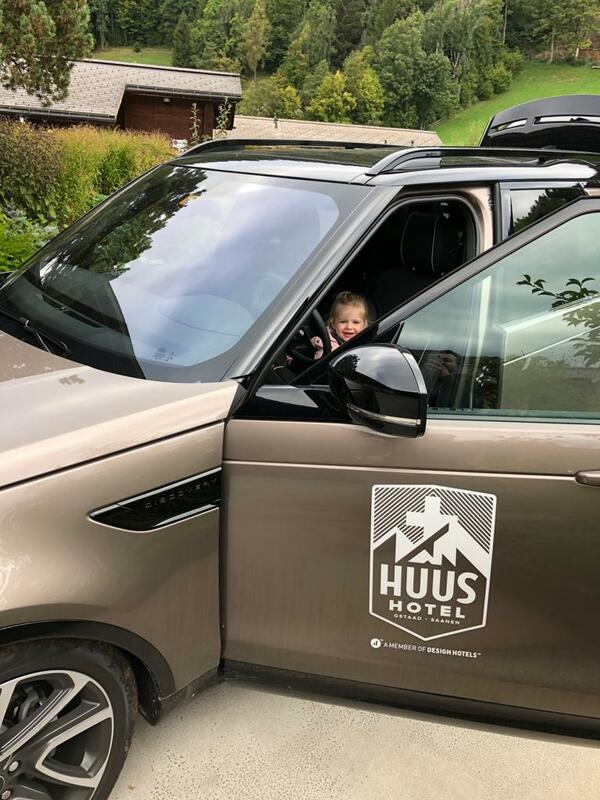 When we finally convinced the kids to leave the hotel we hopped in the hotel-provided Huus Gstaad Land Rovers, which were free of charge (because apparently, that’s a normal amenity?) and drove a few minutes to the Rellerli mountain playground and then to the walking promenade of Gstaad. 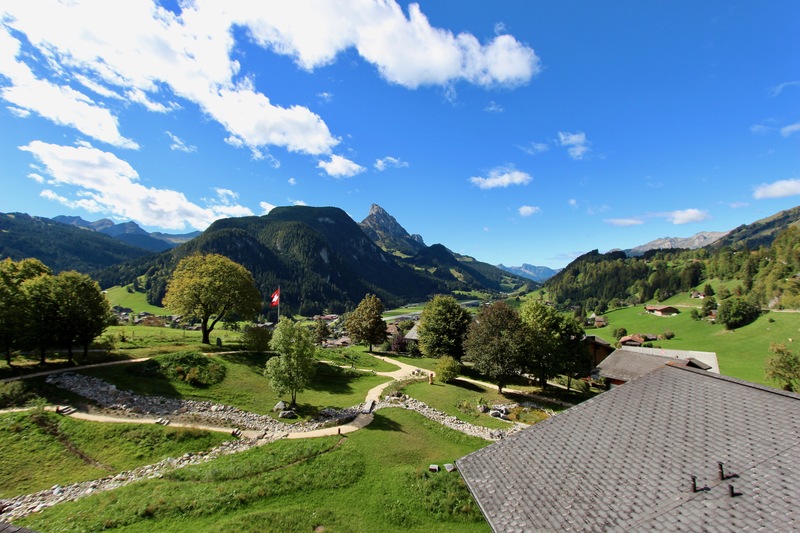 We ended our weekend with the free hotel shuttle down to the Saanen town area and train station, a whopping 3min drive away, and broke the news to the kids that Huus wasn’t adopting them and we had to head back on the short 2.5hr train ride to Geneva. So is Huus Gstaad as great as I just wrote? It really is. 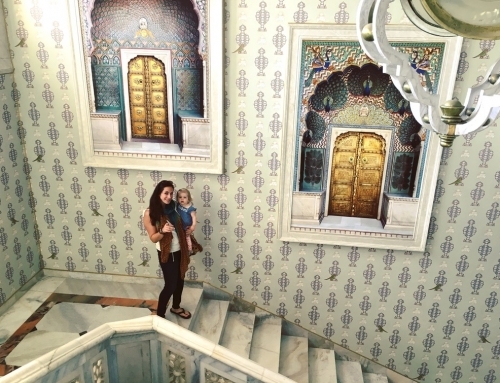 When you travel and find a place like this, you realize that all your family travel dreams are realistic. 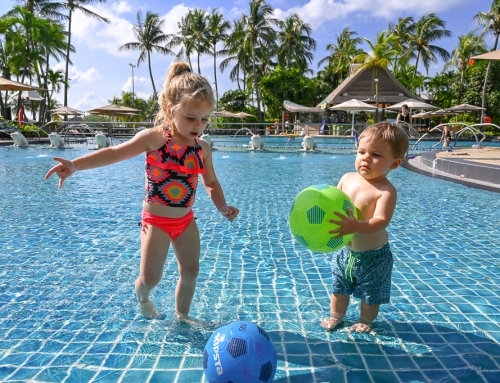 You can actually go on a holiday and not need a vacation from your vacation just because you have tiny tots in tow. 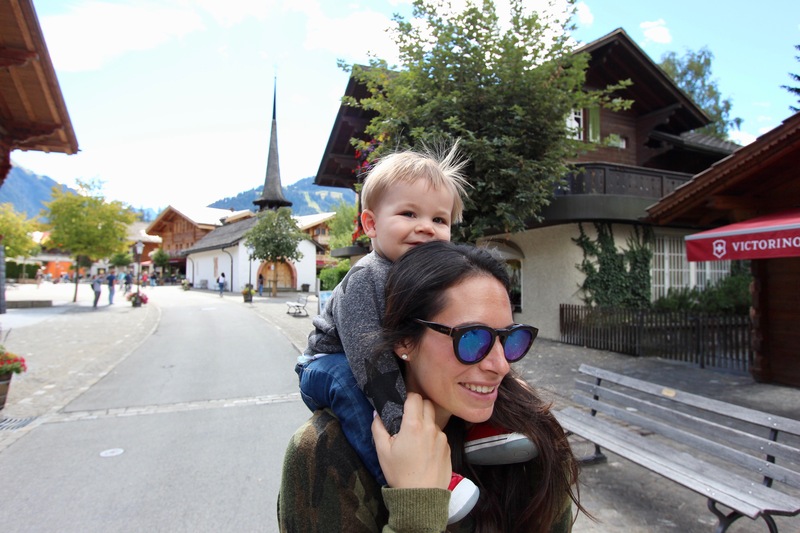 Huus Gstaad is impressive with how cool, calm and collected it is even with all these crazy kids running around. It’s basically the opposite of me on any given day. 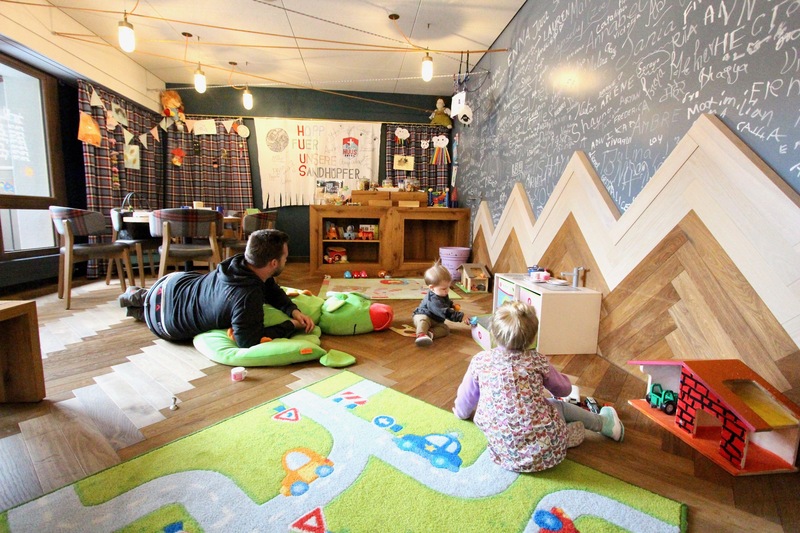 There’s even a chance that you emerge from your time at Huus as the cool mom, purely because your kids had the best time and all you had to do was choose the right hotel. That is until you get home, and still ban glitter and slime from the house, because there’s cool, and then there’s crazy. Let’s not be crazy now. 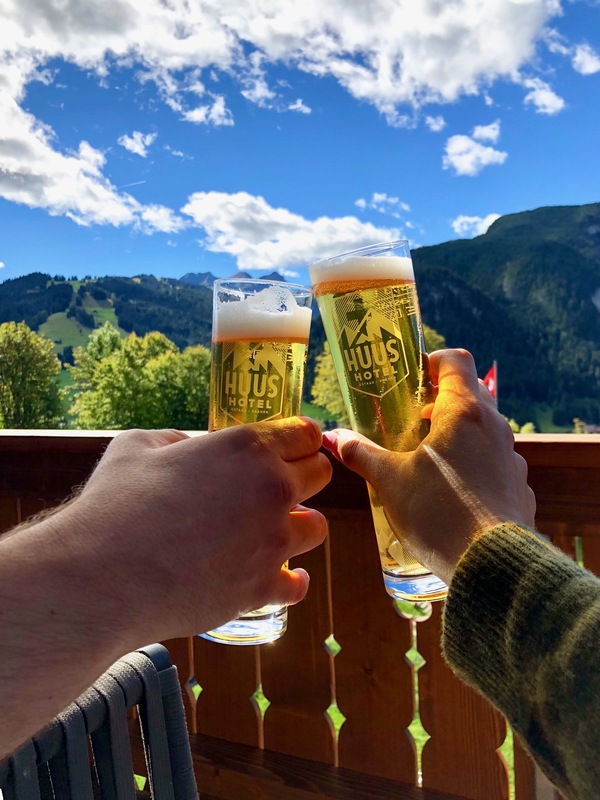 Thanks to Huus Gstaad for hosting us in exchange for this review. While this write-up was quite glowing, it’s all totally true, because the baby would throw food at me if I wasn’t honest. 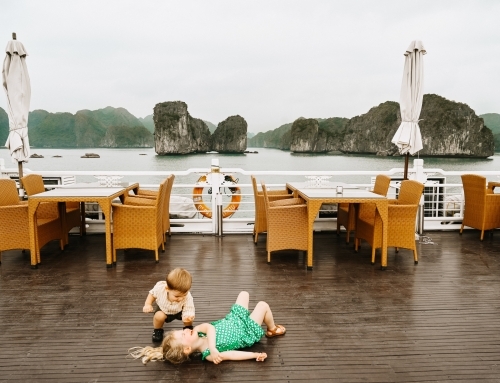 To see more of our favorite places around the world, check out our Hotels page and book some vacay for your crew today! Yay! So glad you loved it as much as we did!!! 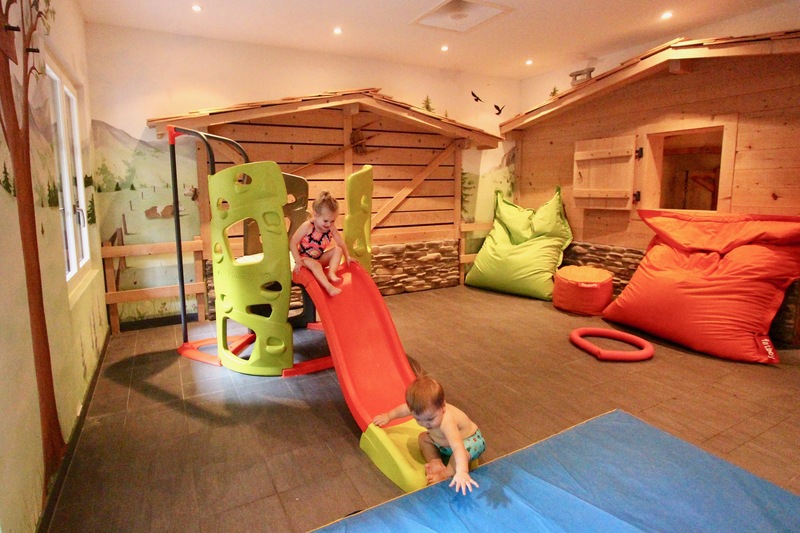 A Fondue party, a Haastens bed, and a kids spa!? Sign us up!